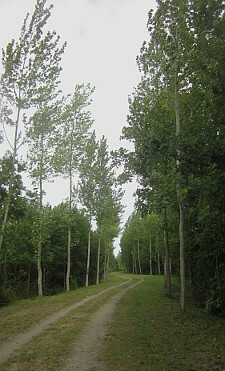 This area on the very edge of Brittany has many well-signed and documented walking and cycling routes. It is an excellent choice for a few days of exploration with plenty of interest to see beyond the unusual landscape of polders and sea marshes. The current changes being made to Mont St-Michel to return it to a proper island state are well worth a look, but the obligatory parking is expensive, so stop further inland and follow the pedestrian path beside the Couesnon river, which is in itself a fine linear walk with a very special goal in view all the way. You can pick up a pack of route maps very cheaply in local tourist offices and exhibition centres like the Maison des Polders in Les Quatre Salines (commune of Roz-zur-Couesnon). This is a good starting point for understanding the landscape and its former and current uses. Most of the terrain is flat, with walking trails along raised banks around the polders, land reclaimed for production from the sea by a series of dykes. 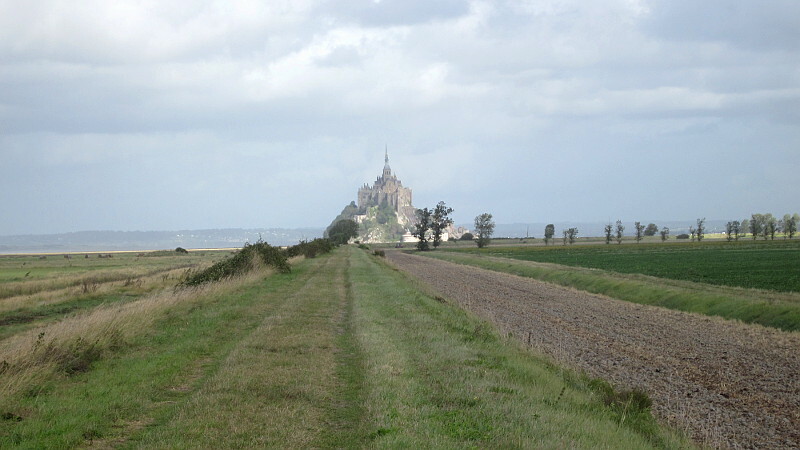 The Circuit des Polders is a 14km route, taking in the chapel of Ste-Anne on the edge of the tidal area and with a return alongside the river Couesnon, with close views of Mont St-Michel. Without obstructions, the winds can be fierce, so a close-fitting hat is a good idea. And take binoculars – there’s plenty of wildlife to be seen along the way. There is also a series of walking paths on the first hill range behind the polders, giving great views over the flat lands and the Mont. The Circuit Panoramique (13kms) includes the ‘Balcon de la Baie’ at Roz-sur-Couesnon, a beautiful little park with exceptional vistas, just the place for a picnic lunch-stop. For a contrast, the marshes of Sougeal south of Pontorson offer walking by inland water, good opportunities for bird-watchers and longer views of Mont St-Michel. Plenty of shorter routes are available. The Circuit du Terrain at Saint-Marcan is more interesting than the prosaic name suggests. It includes the Menhir de la Roche-Longue and a curiosity, the Télégraphe de Chappe, constructed in 1799 and able to relay a message from Brest to Paris in 20 minutes – not bad at all in those days. There’s a little museum at the site for those interested in early technology. It’s the perfect choice for combining a few days walking with visits to significant historical centres like Dol-de-Bretagne or Combourg, as well as Mont St-Michel itself. For the latter, ignore the tourist parking/shuttle bus – get up early and walk out in early morning when you’ll have the place almost to yourself much of the year.